Roof Dimension: 1730mm x 970mm. 1730mm (5ft 6") Wide Plastic Shed - Wide practical shed design. Thick Galvanized Steel Frame - Solid and rigid structure. PVC Shiplap Cladding Panels - Weather, Rot and Fade-proof. Double Outward Opening Door - Tough moulded PVC wide access doors. Integral Plastic Floor Inside - Sturdy plastic surface. The Duramax 5x3 Little Hut Plastic Shed is a 5ft wide apex roofed shed with a built in floor and attractive cream walls and a wide double doors for easy access. The 5 x 3 Little Hut is built onto a 635mm thick zinc coated galvanised steel frame which is then clad with high quality, fire retardant, fade-proof PVC plastic. 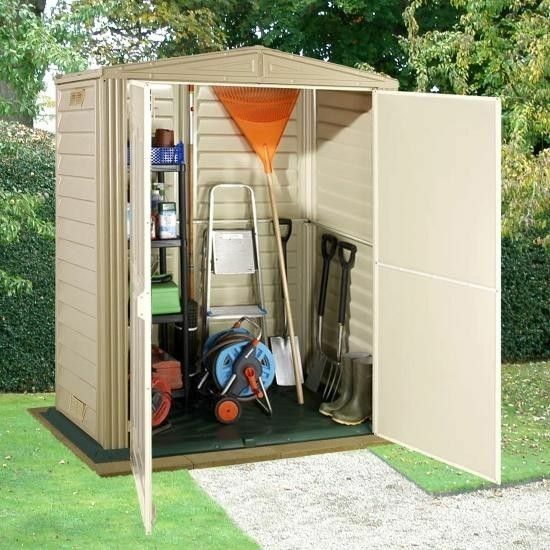 This shed will require no maintenance at all and will never rust or need painting or treating like a wooden shed. 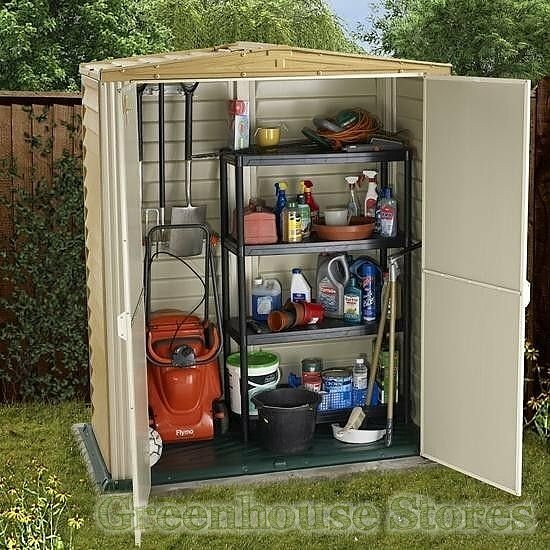 The Little Hut 5ft x 3ft storage shed has an integrated plastic floor to keep the inside of the shed neat and tidy looking. 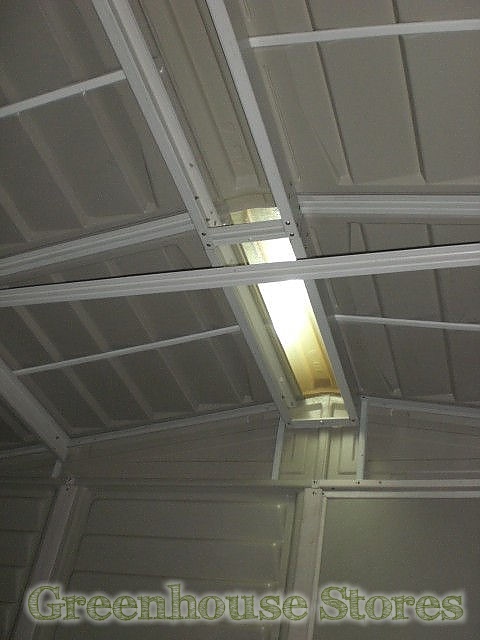 If you want more light inside the shed there is an optional roof light pack available as an option. Duramax sheds are extremely easy to assemble and can be erected in a matter of hours if you follow the instructions provided. As with all Duramax sheds, there is a 10 Year Warranty against perforation rot on the Duramax 5x3 Little Hut Plastic Shed. Product delivered in kit form for self assembly. Full Duramax instructions provided. Full base preparation details will be forwarded to you even before your new Duramate shed is delivered.